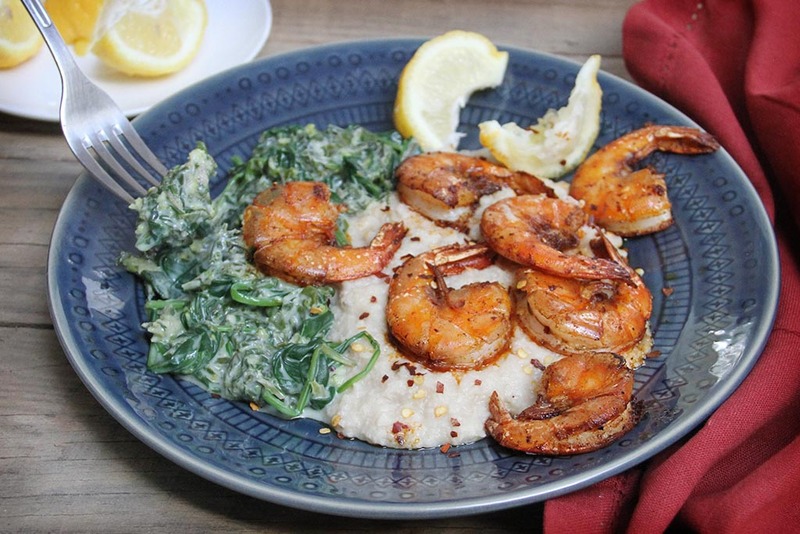 A delicious, quick and easy cauliflower mash and spicy shrimp recipe, served under 20 minutes. Perfect for inviting friends over for the evening. Cook Nuveg Cauliflower and Spinach in microwave as directed on package. Add olive oil and spice to a big pan. Heat up to medium/hot. Quickly fry shrimps (from frozen) until pink and cooked thru. Do not over cook. A delicious, quick and easy spicy shrimp recipe, served under 20 minutes. Perfect for inviting friends over for the evening.